Can the Chromebook take sales away from Windows 7 netbooks? Cloud computing is a term we've heard with increasing frequency recently. It's the idea that our usual computing tasks are not run by the hardware in our computers, but instead on powerful servers connected to your machine via the internet. Operating systems on netbooks and laptops are still firmly tethered to the hardware, with Windows 7 and Linux distros being the OSes of choice. Into this fray comes Google's Chrome OS, an operating system designed to drag laptops and netbooks into the cloud. 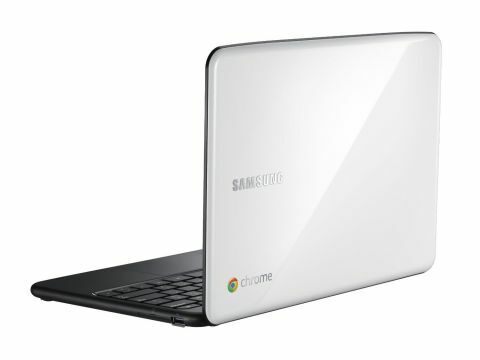 The machines that run Chrome OS are known as Chromebooks, and Samsung is ahead of the pack by releasing the first Chromebook in the UK – the Samsung Chromebook Series 5. For more information on what Chrome OS is all about, check out our guide: Google Chromebooks - what you need to know. As the first of its kind with no immediate competitors - an Acer Chromebook has been announced by Google but Acer has yet to confirm if we will see it in the UK - the Samsung Chromebook faces some interesting challenges. While it launches with no other competition from Chromebooks, it's currently solely responsible for persuading consumers to move from the more familiar Windows operating system to Chrome's browser-based interface, and to encourage early adopters to embrace the new technology. The Samsung Chromebook Series 5 also needs to set the bar for what we can expect from this new breed of computer.